Peter Banks was originally born in London, England in 1958. He spent over 15 years working in the City of London as a Computer Technical Consultant specialising in Network Security. 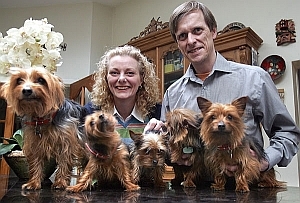 Being married to an Irish woman he ‘retired’ back to Ireland and has spent the last 18 years rearing Yorkshire Terriers and running the hugely successful www.IrishDogs.ie website which now receives nearly TWO Million visitors each year. Indeed, the Discussion Forum has over four thousand subscribers ... where all forms of Dog related discussion takes place. He now lives in County Kildare in the middle of the countryside with his wife, four Yorkies and two kittens (Bonnie and Clyde). 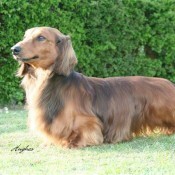 Having had dogs in the family for over twenty-five years, he finally decided he had the “right credentials” to actually write about his experiences and to debunk what he considers the inept Training techniques the so-called ‘pet professionals’ were promoting. He has always promoted responsible dog ownership and breeding and firmly believes that the Pet Food industry really isn’t advancing the welfare of animals rather than advancing its own profits.